The Sheltered Workshop is both a place for employment and vocational training for people with disabilities. The projects and small contract work that we secure from various organisations provide a real work environment for our trainees, thus improving their future employment prospects. 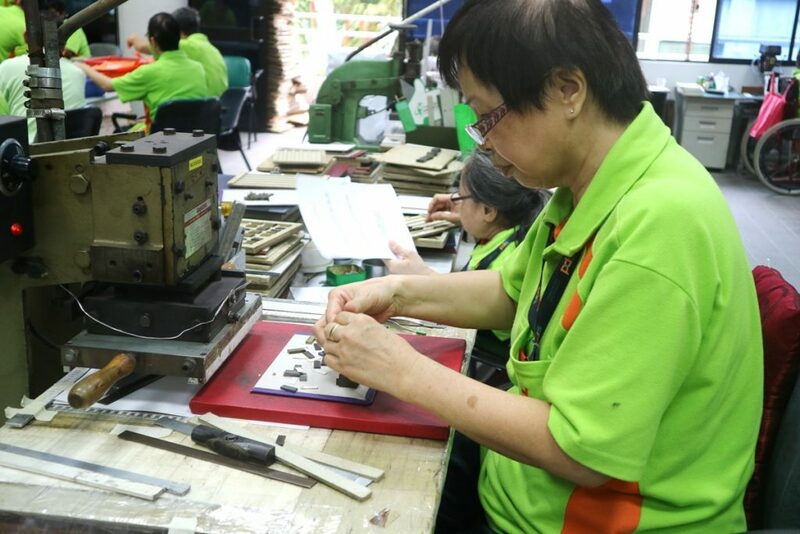 Trainees at the Sheltered Workshop are engaged in sub-contract work such as packaging, letter-shopping, tagging of products and the likes. Trainees in another section of the workshop are involved in projects relating to data entry, digital scanning, administrative tasks and the document preparation. In addition, we also have craftsmen at the workshop who possess skills honed over 20 years. The finished products are of commercial quality and are charged at highly competitive prices. Education institutions, commercial organisations and private individuals are among our satisfied customers. be able to attend to individual’s basic activities of daily living.